Days before Hurricane Harvey devastated coastal Texas with unprecedented rain and flooding, followed by Hurricanes Irma and Maria, NH Sen. David Watters, a Dover Democrat, told NH Business Review he was concerned about a recent executive order by President Trump that reversed an Obama administration initiative on preparing for coastal flooding across the country. “It makes no sense to suspend EO 13960, on preparing for coastal flooding. 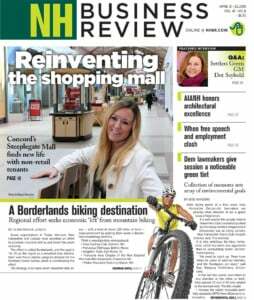 Recognizing the changing flood plain and building accordingly will save New Hampshire millions in insurance coasts as well as keeping coastal communities thriving as the leading area of jobs, business, and recreation in the state,” Watters said. Watters, who recently retired as an English professor after 39 years at the University of New Hampshire, said he was inspired to run for public service a decade ago by then-presidential candidate Barack Obama. He served four years in the House and is in his third Senate term. Q. How has your academic career helped you as a legislator? A. Teaching at UNH, a public, land-grant university, inspired a dedication to public service, since that is part of UNH’s mission. Work on UNH committees, writing major grants and analyzing texts and conducting research all translated well into legislative work. Most important was my academic focus on place, trying to understand how people historically and today connect to a place and how culture, values and politics connect to a place. 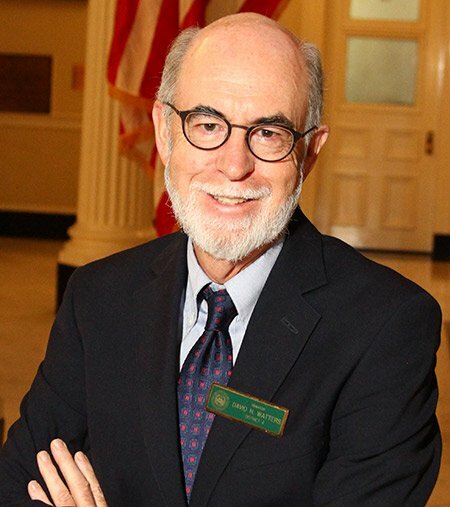 The interest in place has also led to my major legislative work on the environment, and as a NH commissioner on the Atlantic States Marine Fisheries Commission. My interest in supporting business and workforce development is connected to this background in understanding how an economy is connected to place. It was in part my awareness of the connection of the Seacoast region to the history of our coast and waterways that led to my concern about climate change and sea level rise, which resulted in my bill to establish the Coastal Risk and Hazards Commission. Q. Given the current administration’s withdrawal from the Paris accord and its rejection of climate change science, what was the mood like at the National Caucus of Environmental Legislators, an event in Boston you attended during the summer? A. The mood was simultaneously determined, anxious and energized with creative interchange. It is a nonpartisan, bipartisan group, and presenters and legislators work very hard to learn from each other about practical solutions to problems whatever is happening in Washington. It is about common ground, but it is also about local solutions, which are always the best, that can move the economy forward through environmentally sound legislation and policy. The keynote was delivered by former California Gov. Arnold Schwarzenegger, who was there to unveil a new project and website, envirolaws.org, to gather information on all the laws being passed in state legislatures. Given the rejection of climate change science and the proposed withdrawal from the Paris accords, the mood of NCEL was, of course, a combination of disbelief and some despair, but the emphasis was on practical, state, municipal and regional efforts. The shared bottom line was that it was essential to foster an economy that supported business growth and jobs in the transition away from fossil fuels. Some of America's largest corporations are taking the lead on the transition to a post-fossil fuel economy, such as Exxon-Mobil, Walmart and Amazon so the sense is that the momentum among the states and in the business community will not be stopped. Q. What did you find inspiring about what you heard and learned at NECL? A. I was particularly inspired by the creativity of legislators from across the country, in red states and blue, and by the partnerships with businesses and utilities. Hawaii is moving to 100 percent renewables, and other states are beating their projections in moving to renewable portfolio standards. It was inspiring to hear about the new thinking about technologies for the electric grid, and really moving to new microgrids and solar and wind. There is also potential for New Hampshire in these areas. It was also inspiring to have such a positive response to my bill passed last year on Wildlife Corridors and climate change. It was inspiring to hear about how other states are dealing with chemicals in our water, such as PFOAs, and in flame retardants in carpeting, furniture and children’s clothing – an issue I am working on for legislation. I guess I'm most inspired – it’s the Yankee in me – by practical solutions that can save money and grow the economy. Q. What will it take to break through the overall partisan divide on environmental issues? A. The most effective way to move forward is to emphasize jobs and growing the economy as a benefit from responding creatively and practically to climate change. We must listen to each other and find ways to avoid the pitfalls of politics to keep the focus on local solutions to problems we can agree need to be solved. I am quite hopeful about this on the state level, as there seems to be an increasing consensus on dealing with climate change, even if legislators disagree on causes. Q. Are you concerned about the current initiatives of the Environmental Protection Agency to loosen environmental regulations? A. Yes. The EPA seems to be taking actions that really are anti-business as well as anti-environment. Getting rid of clean water and stormwater science will hurt our communities. What family will want to live in a community if they don’t know if the tap water their children drink is free of cancer-causing chemicals? And those of us in the Seacoast area, where there was some of the highest childhood asthma rates in the Northeast, want to go back to that with more coal and dirty air? The suppression of climate science – such as the recently leaked report about the greatest effects of sea-level rise including a 20 percent increase in precipitation, including extreme storms and storm surge, that will be centered on New England – won’t keep these things from happening. Sure, there are powerful industry lobbyists in Washington, but I have found in New Hampshire that businesses and industries and their lobbyists in Concord want to find ways to work together. Look no further than the tough but successful results on decoupling Eversource and dealing with the net-metering cap, thanks in large part to bipartisan efforts. On the Coastal Risk and Hazards Commission, we had representatives from Primex, homebuilders and Realtors, and heard from many others. That’s the New Hampshire way.